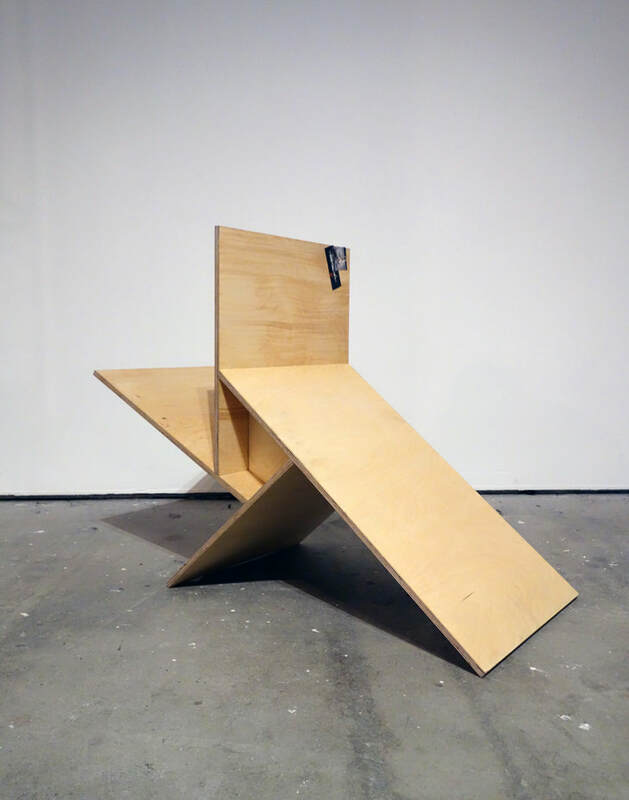 Copperfield, London is pleased to present All going downwards the same as I was, the first solo exhibition at the gallery by Glaswegian duo littlewhitehead. During a time of housing shortage and growing inequality in cities like London and Glasgow, there is an acute perversity to the ‘ghost mansion’ situation, where substantial luxury homes are not only left unoccupied by wealthy offshore investors but also left to decay beyond the point of being habitable. There is an uncomfortable relationship between the visual fascination of these ruins and the past and present social problems they have become emblematic of. 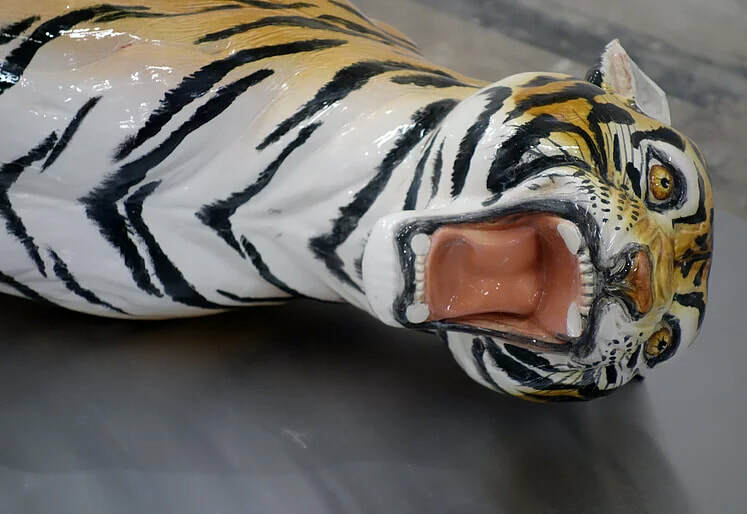 The central piece in the exhibition, a broken life-size ceramic tiger, lays helplessly on its side, its features still frozen in glazed defiance. It is this sort of tension that is the key to the whole, a faded vision of an environment that was never intended to be anything less than perfect. 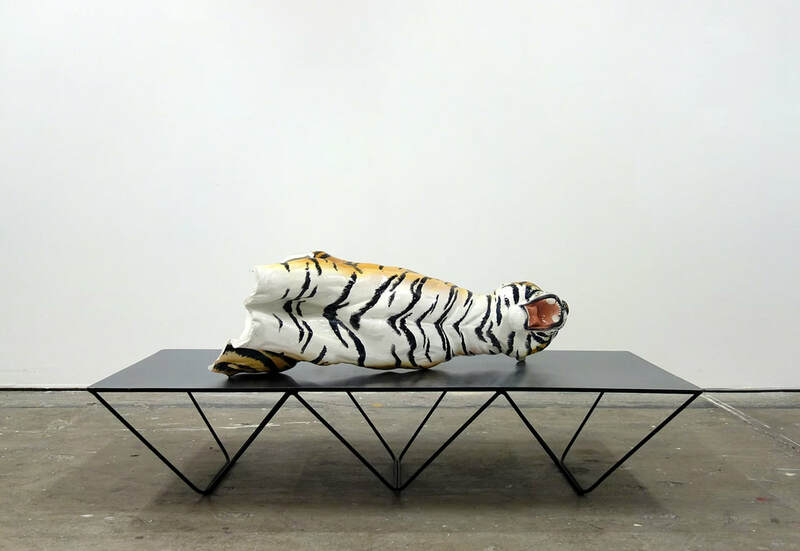 In trying to find the correct form to support the tiger, they were inspired by the Paolo Piva Alanda table on set design of Patrick Bateman’s apartment in American Psycho — a strange choice for such a sinister scene, that is now evocative of a barely veneered reality. 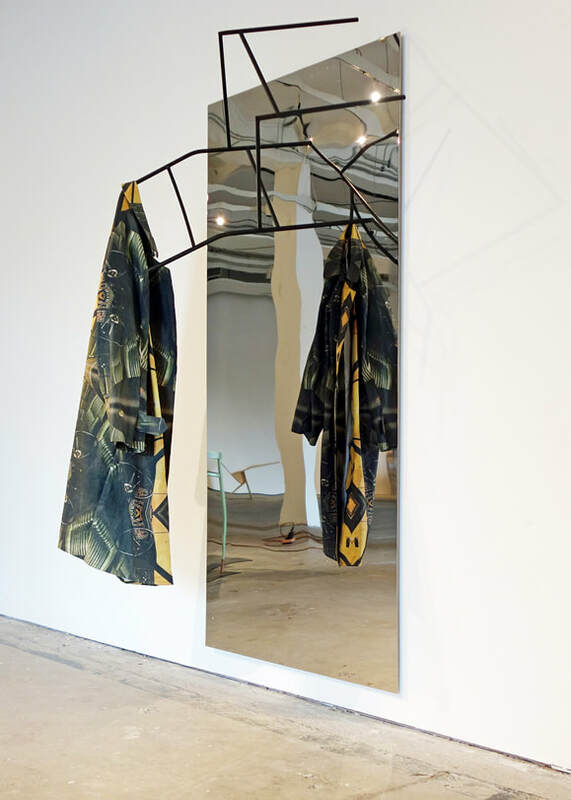 The title of the work, "Merge Visible", is taken from Adobe Photoshop (the option to merge images on multiple layers into one) and is indicative of the kind of splicing together that exists literally in this work but more obliquely across the exhibition where luxury and degradation are presented as one. 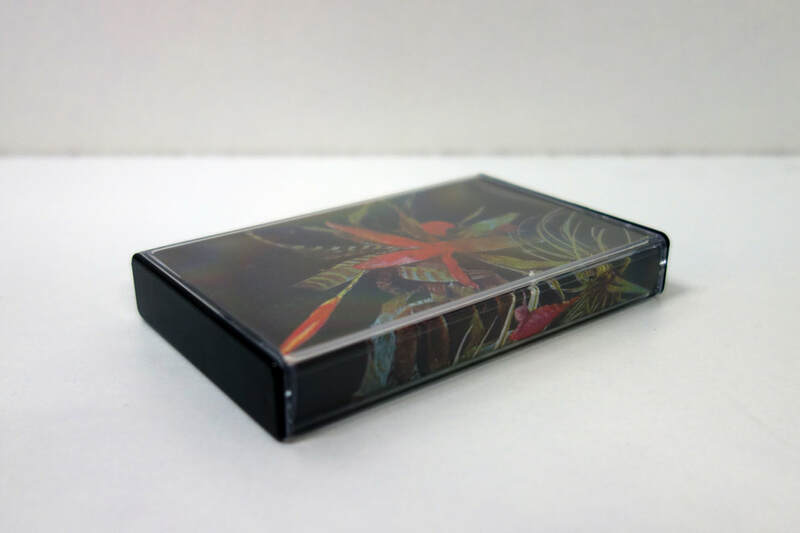 Luxury exists entirely beyond basic human necessity and such objects embody complex narratives around the desires of their time and place. By being inherently superfluous, they are in some way already abandoned. The table top or mantle piece ornament is an obvious example; placed, dusted but never really touched or ‘used’. By bringing the ceramic tiger into this kind of relationship with a designer style table the existing tensions are exacerbated: the ornament is broken, oversized, dominating the table. No longer an ornament but a sculpture, forcing the piece of furniture into the role of a plinth by its sheer size alone and erasing any future functional possibility for the table, its legacy to gather dust.